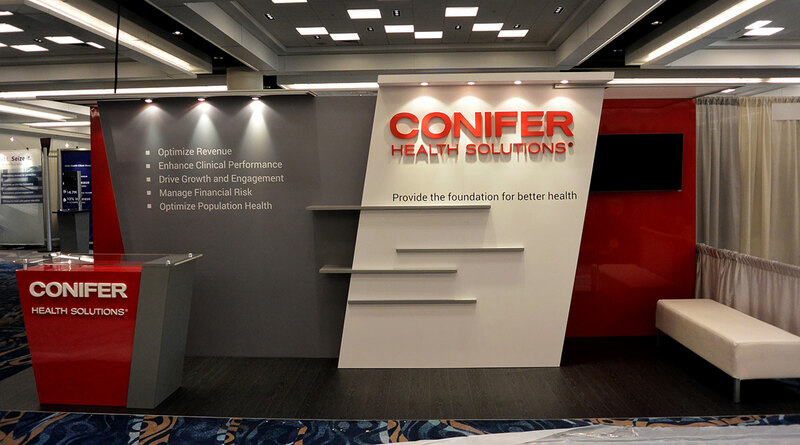 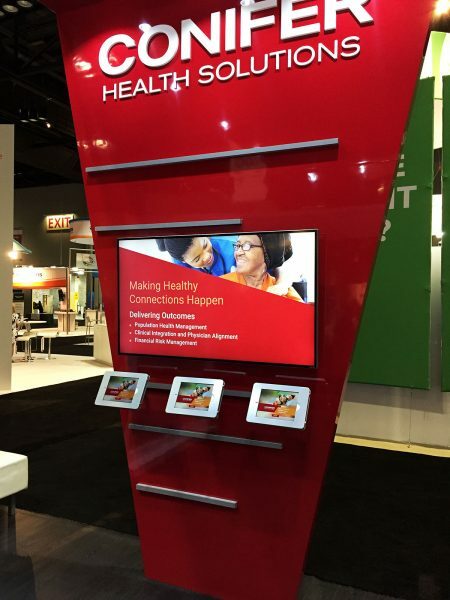 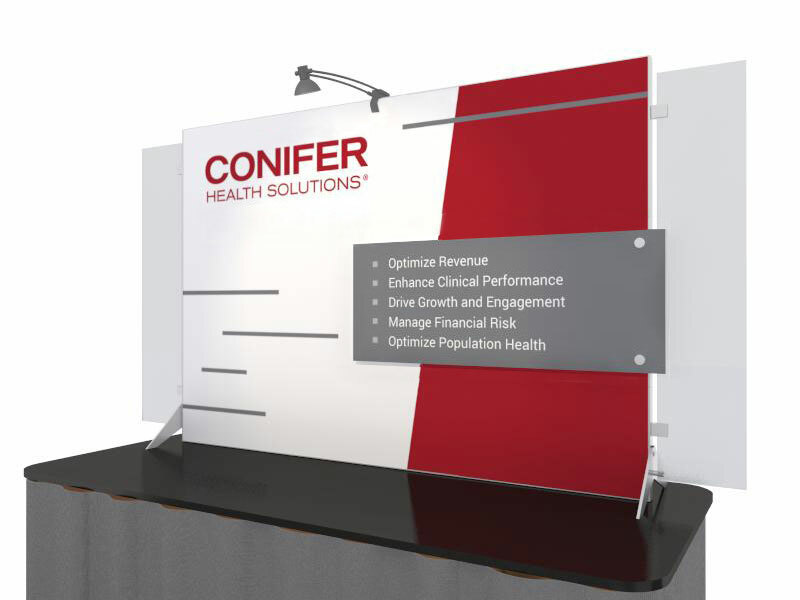 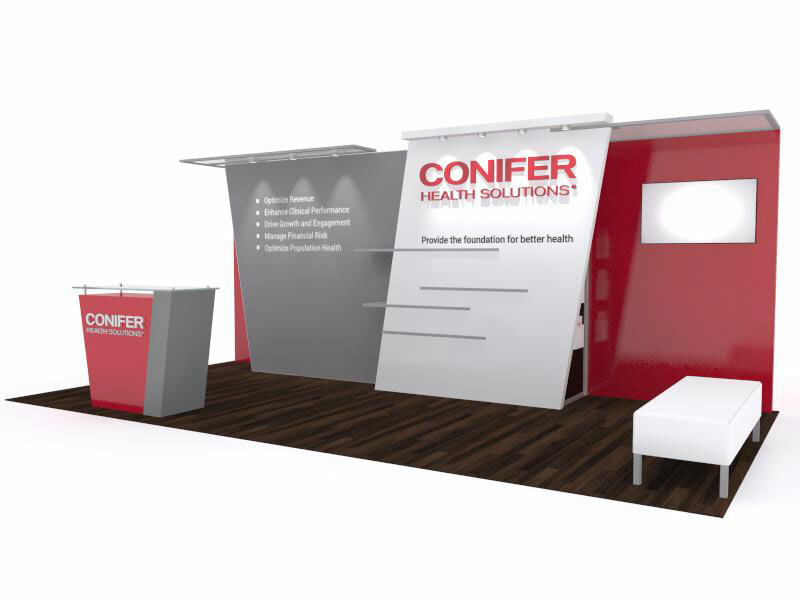 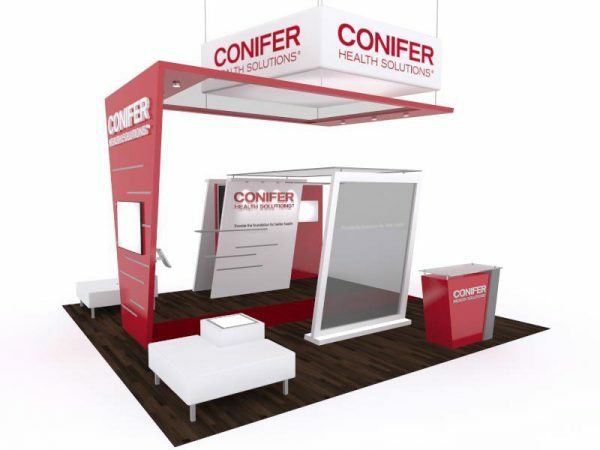 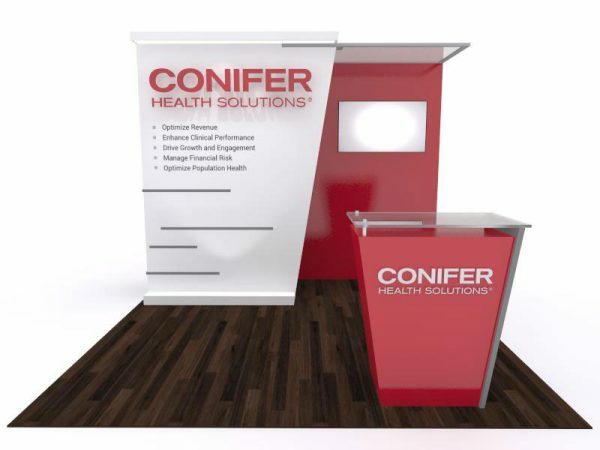 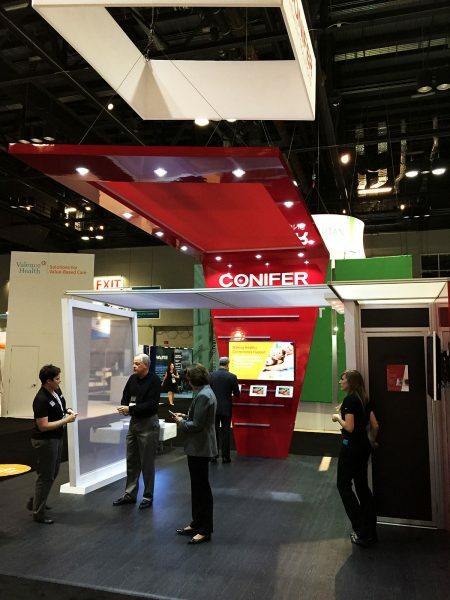 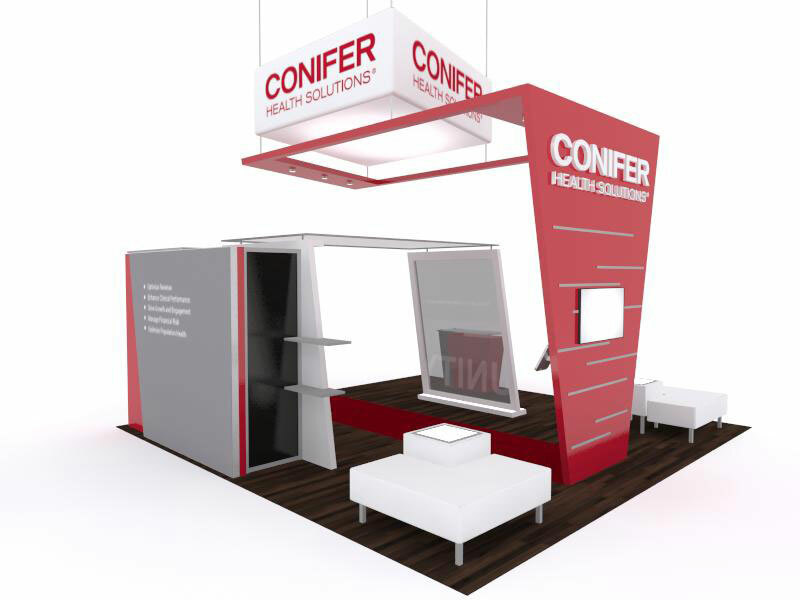 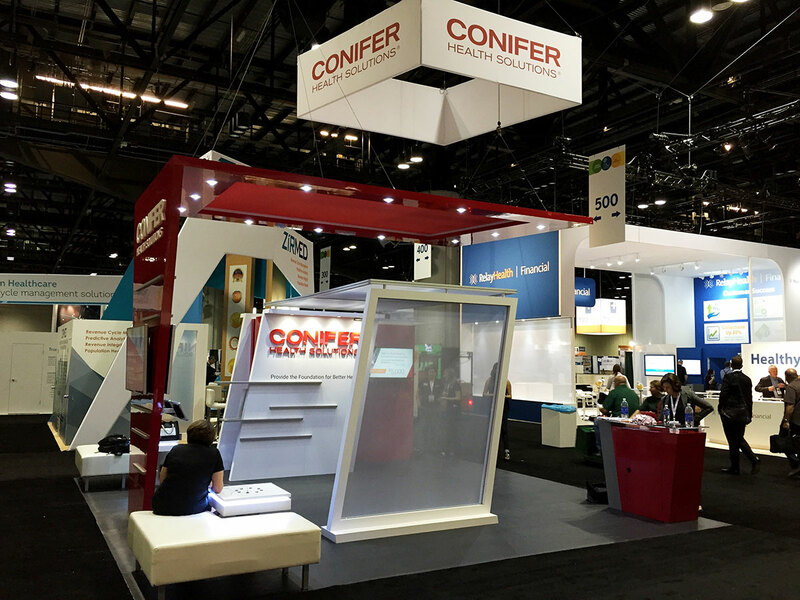 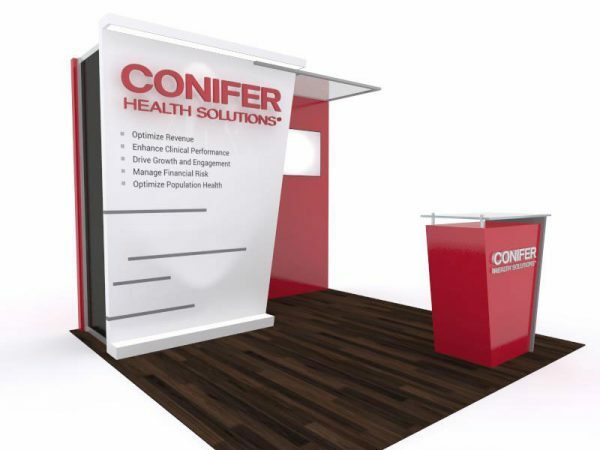 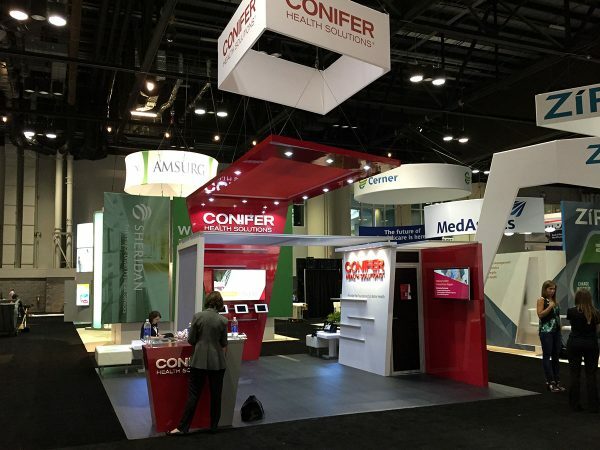 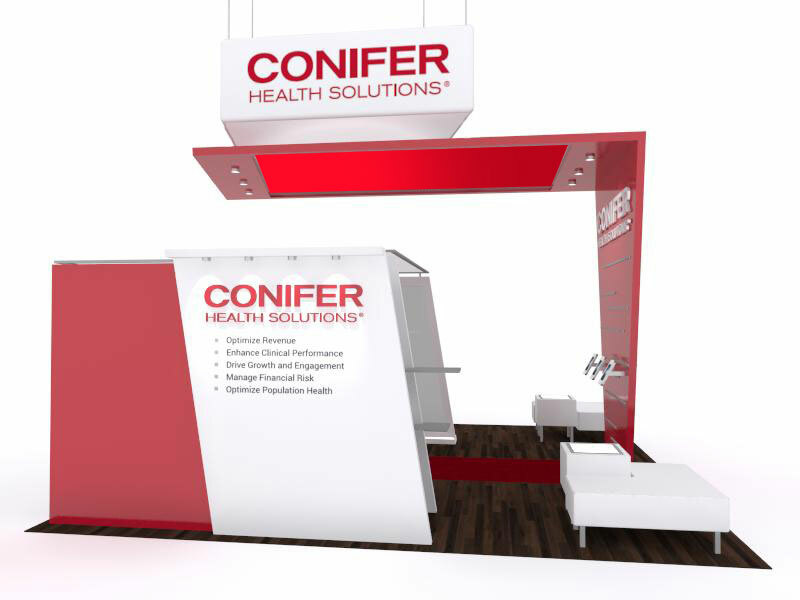 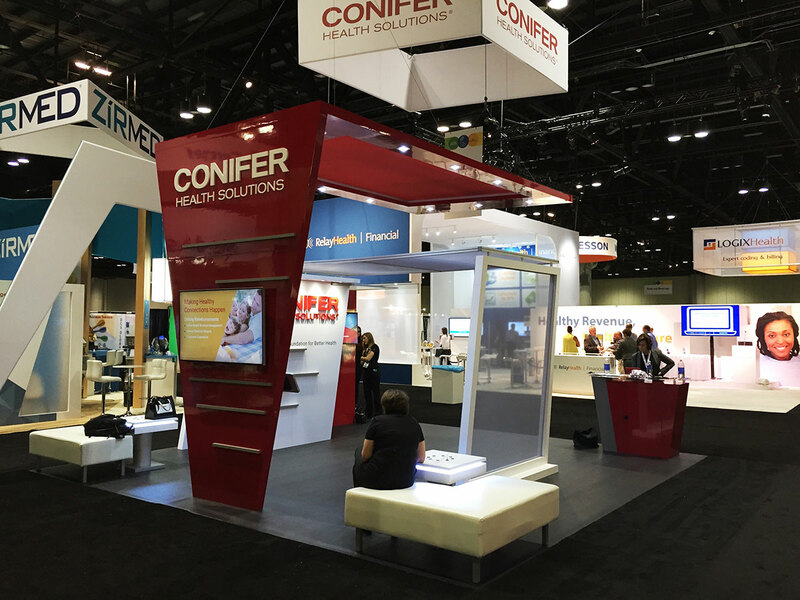 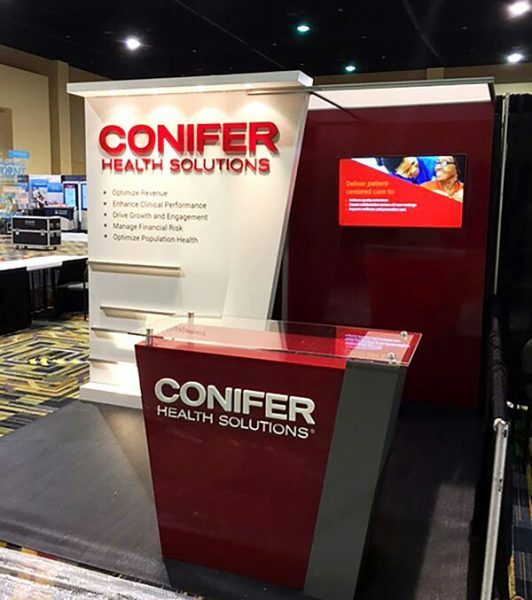 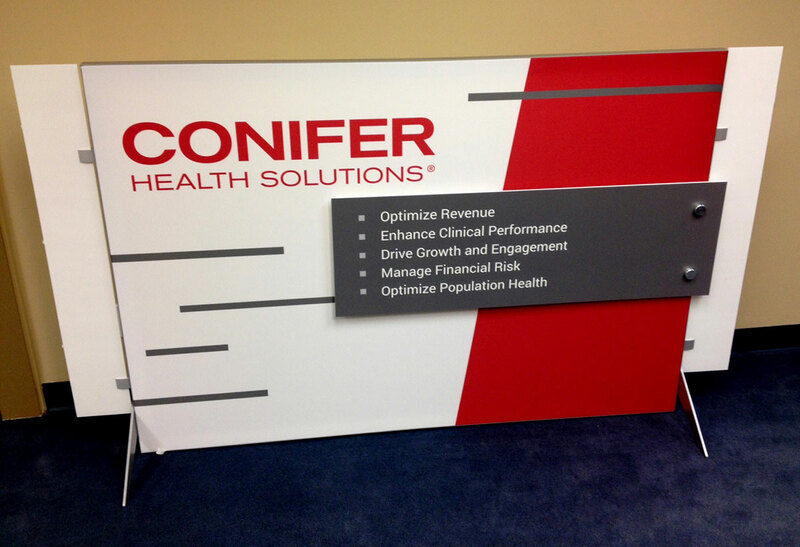 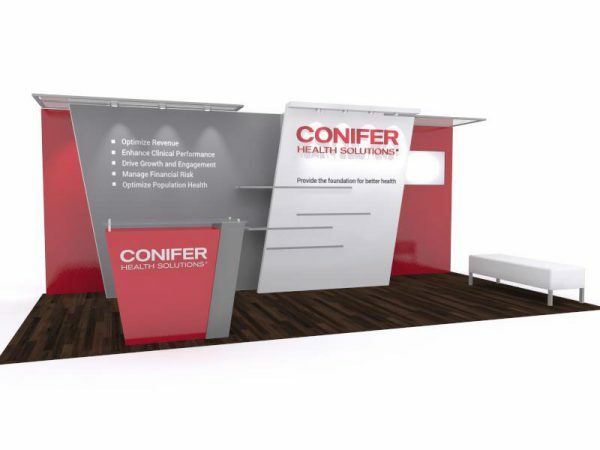 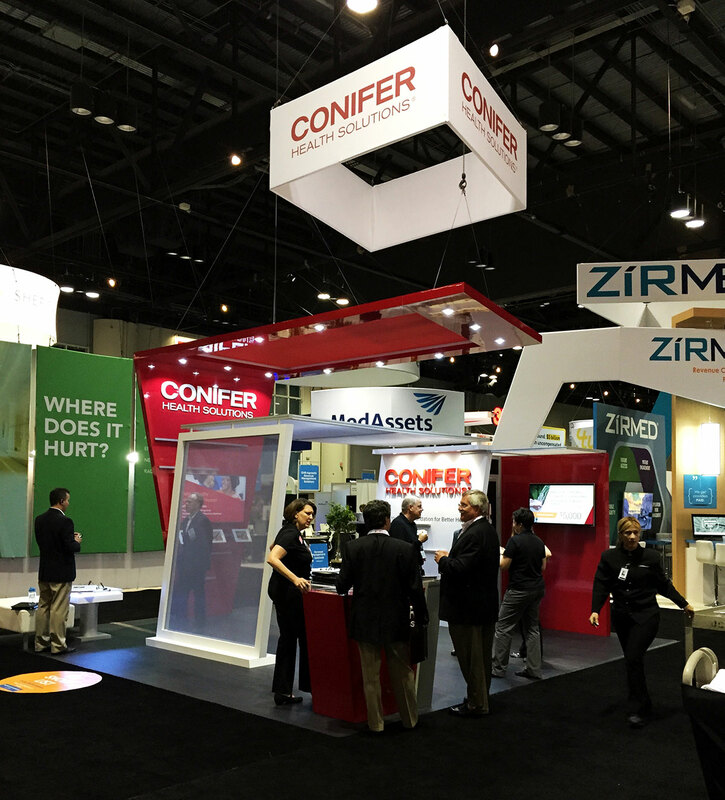 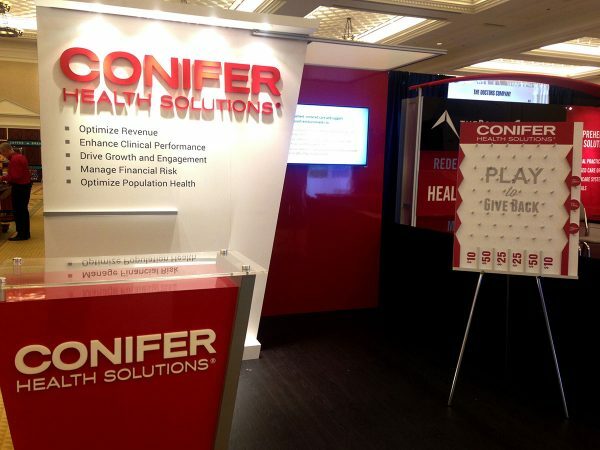 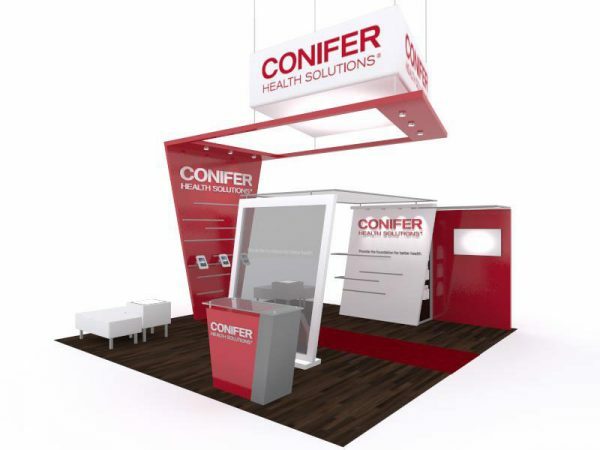 Conifer Health Solutions looked to take an integrated approach with their exhibit program. They needed an eye-catching design that would carry a common theme from their table top displays to their 20’ x 20’ island display, while allowing flexibility for many different engagement solutions. Astor Group created a modern, striking style that carried across Conifer’s many displays. 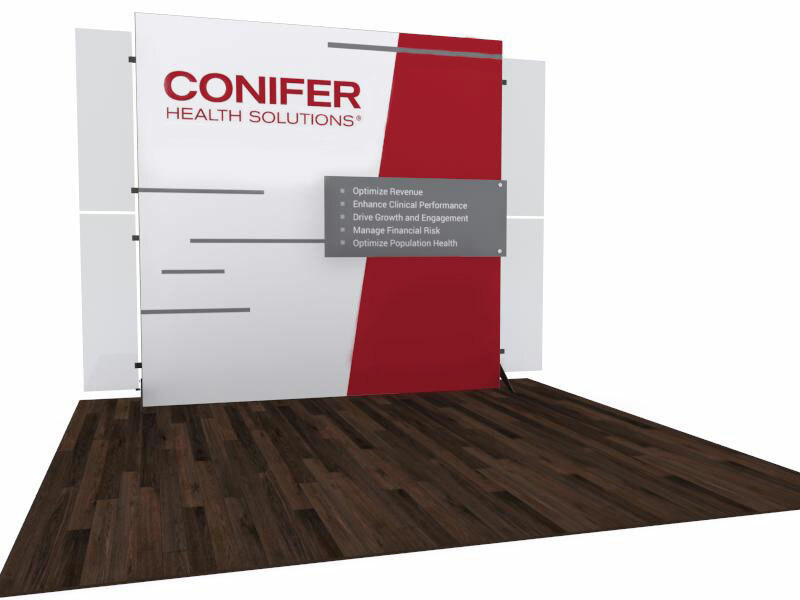 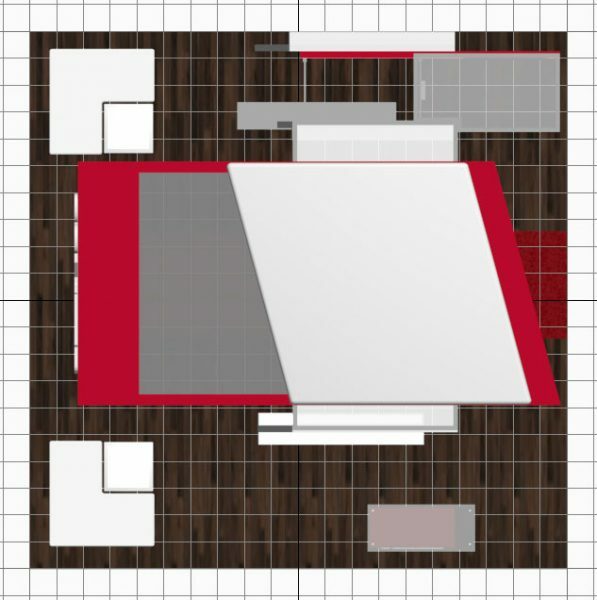 Making great use of the client’s red Pantone color, the exhibits feature a glossy laminate that is easily recognizable for show attendees By creating a number of spaces that could easily be altered for changing engagement solutions, the minimal abstract designs will make anyone do a double-take.